''March Clouds'' shows us the beauty of the reflection of passing clouds in the puddles of a rutted corner of a ploughed field. The colours used are muted and one gets a sense of a cold March wind. 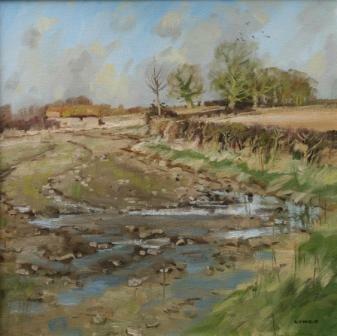 This is a picture that shows John Lines'' love of the land and careful observation of his surroundings.